Garnier Thiebaut has extended its 'Green Sweet' collection with new selections playing up sweet, rich autumnal colors and tones. 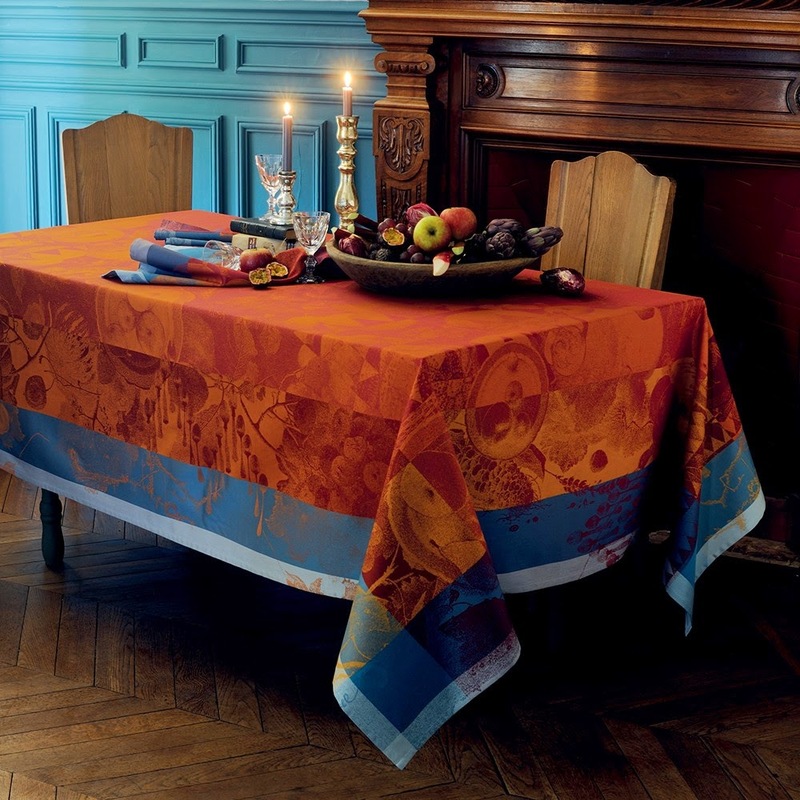 The Garnier Thiebaut Abondance Cuivre Collection is a journey through the ages. Beyond modern, geometric patterns, discover ancient motifs all in a blend of fiery autumnal colors. 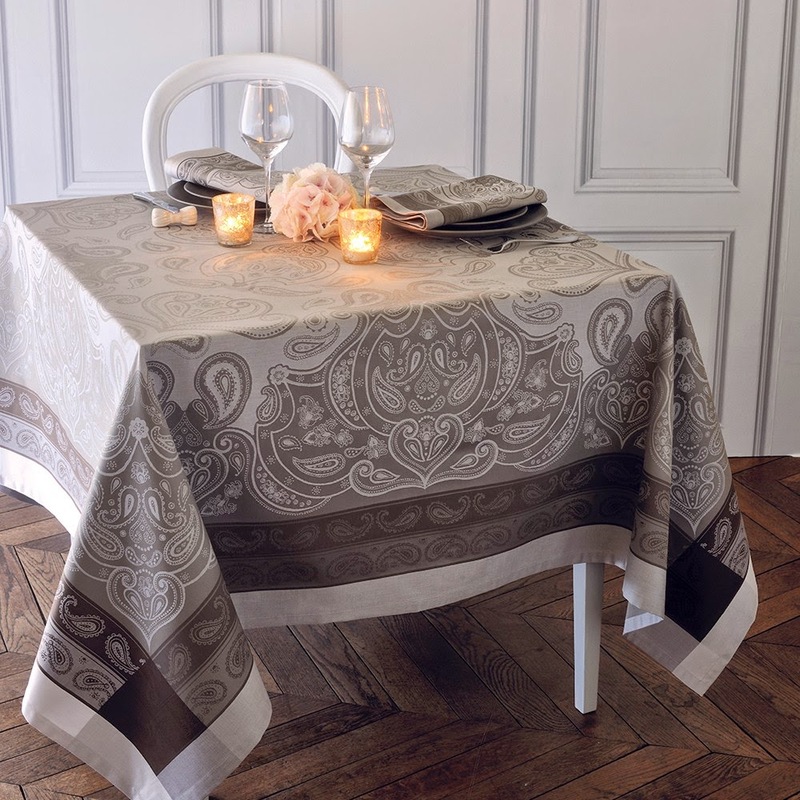 The Garnier Thiebaut Pashmina Marron Glace Collection is a classic design with updated color and style. This classic brings an elegance to the table. The Garnier Thiebaut Ribambelle Compote Collection is poetic and light. 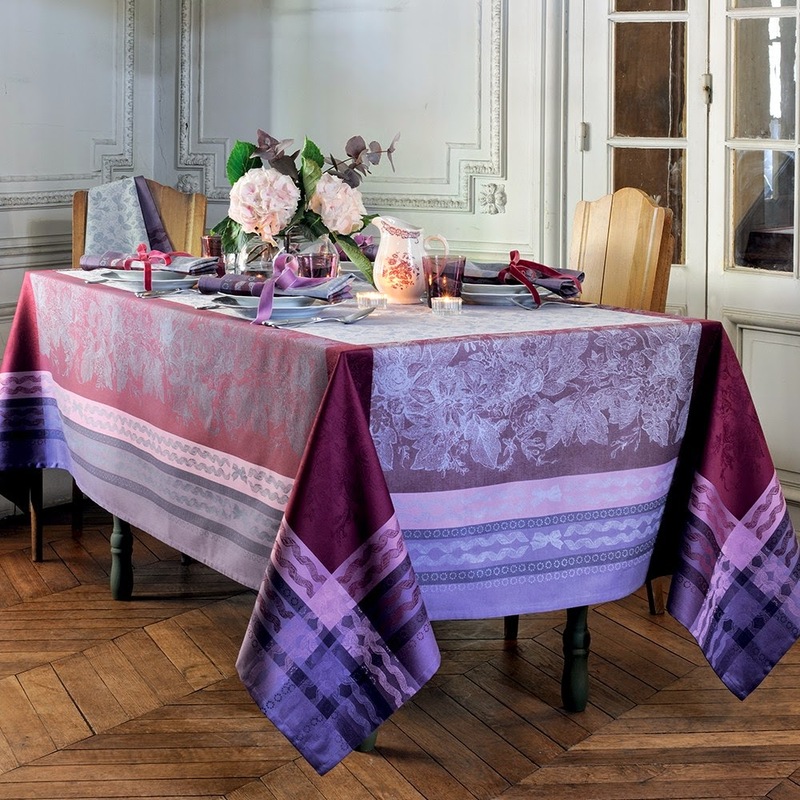 A grapevine and leaf motif is filled with intense hues of plum, wine and grape. Need even more of a Garnier Thiebaut fix? View the entire collection here!